You can't have Vash without Wolfwood! 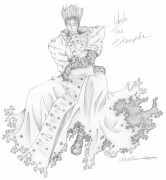 I created this sketch (finished August 18, 2004) to compliment my Vash drawing (called Lost in Memories). LOL. That part was intentional. In the Trigun anime and manga the shoulders tend to be very exaggerated. The legs also tend to be really long. I was just trying to pick up on some of the quirks of Yasuhiro Nightow's art. wow! what an awesome job! the textures are really good. Totally awesome. 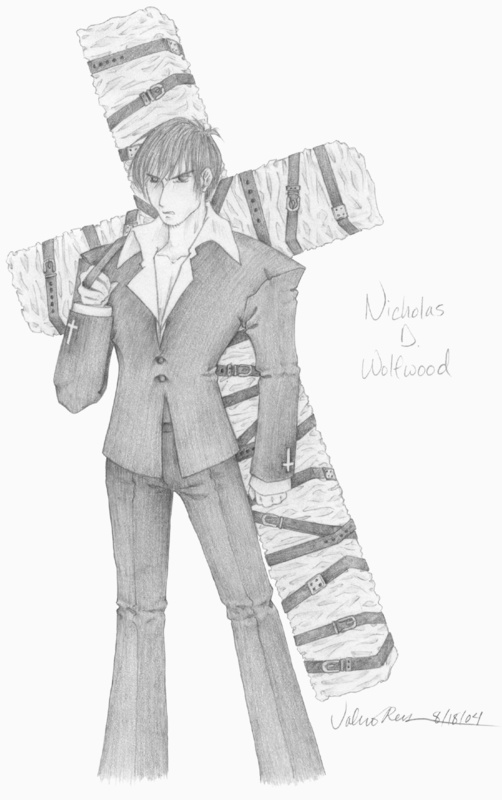 You really captured Wolfwood's persona. Great job!